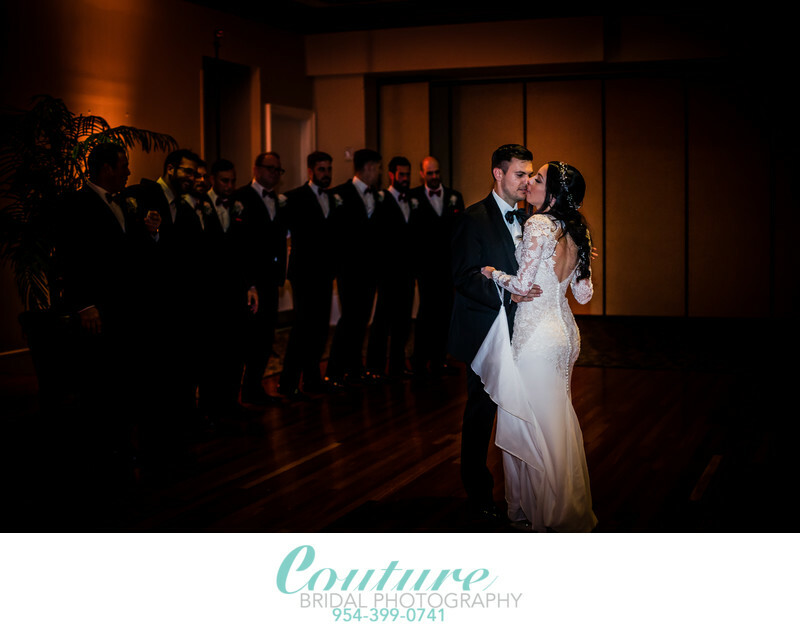 Couture Bridal Photography is one of South Florida's top rated Wedding photographers serving Deerfield Beach, Lighthouse Point, Hillsboro Mile and Pompano Beach Brides and Grooms with the most Elegant, Romantic and Timeless Wedding Photography in Florida. 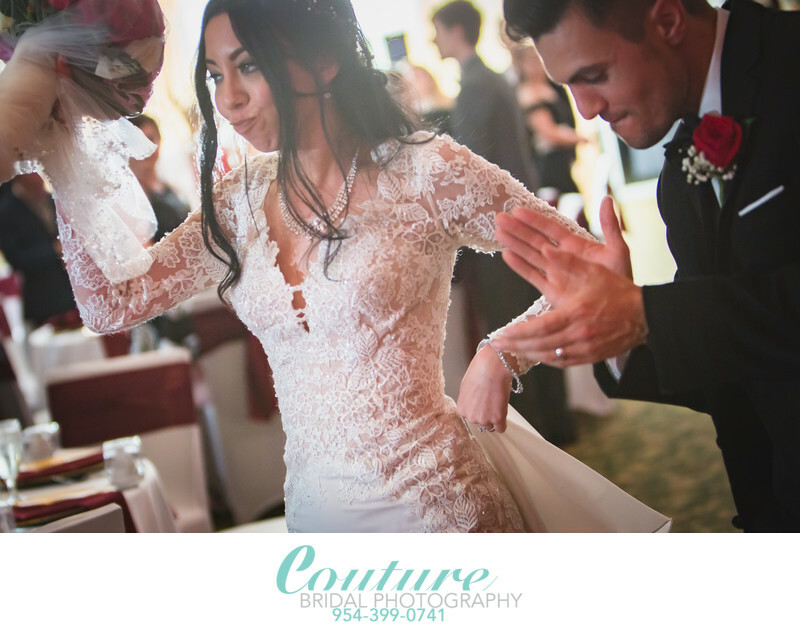 Couture Bridal Photography is South Florida's most sought after wedding photography studio. The owner, founder and principal photographer Alfredo Valentine, has been involved with photography since the age of 16. After 20 years of being an avid photographer, Alfredo was asked to photograph his first wedding. In 2008, Alfredo Valentine, discovered his passion as a professional wedding photographer. Couture Bridal Photography was originally started as a side business, but has grown to 3 lead photographers, several associate photographers and wedding photography assistants passionate about photographing weddings in a unique and distinct style. Alfredo Valentine, is also listed among the worlds best wedding photographers on FearlessPhotographers.com for his artistic documentary wedding photography with a fashion forward editorial style. FearlessPhotographers.com requires being evaluated and accepted by a group of judges, who decide if a photographer has the skill, passion, talent and authentic style to join. There's no buying in to the Fearless Photographers membership. In 2016, Couture Bridal Photography was independently rated among the top 3 Wedding Photographers in Coral Springs, Florida by ThreeBestRated.com. Couture Bridal Photography was then again recognized as one of 20 out of 270 Wedding Photographers as the best South Florida Wedding Photographers/Studio by Expertise.com. Additionally, in 2017 Couture Bridal Photography was independantly named among the top 3 Wedding Photographers/studios in Fort Lauderdale, Florida by ThreeBestRated.com. Among the finalists of the 3 best rated wedding photographers listed was Munoz Photographer, known worldwide as the oldest most established high end wedding photography studios in Florida, which was an honor. Couture Bridal Photography is also listed in Weddingwire.com and Theknot.com with all 5 star reviews from past brides and grooms. Couture Bridal Photography has also received Weddingwire's "Couples Choice Awards" in 2016, 2017 and 2018 and Knot's Best of Weddings for 2016, 2017 and 2018. Additionally, Couture Bridal Photography has had images published in various Wedding industry periodicals, magazines and social media. So, what started as a side business for a Firefighter/Paramedic, has now become a full time wedding photography studio with many moving wheels. What hasn't changed is Alfredo's dedication to providing each and every bride the most spectacular wedding photography, a fun stress free Wedding Photography experience and affordable rates. Couture Bridal Photography, currently starts at $2,200 for 6 hours of wedding photography coverage throughout Deerfield Beach and South Florida. 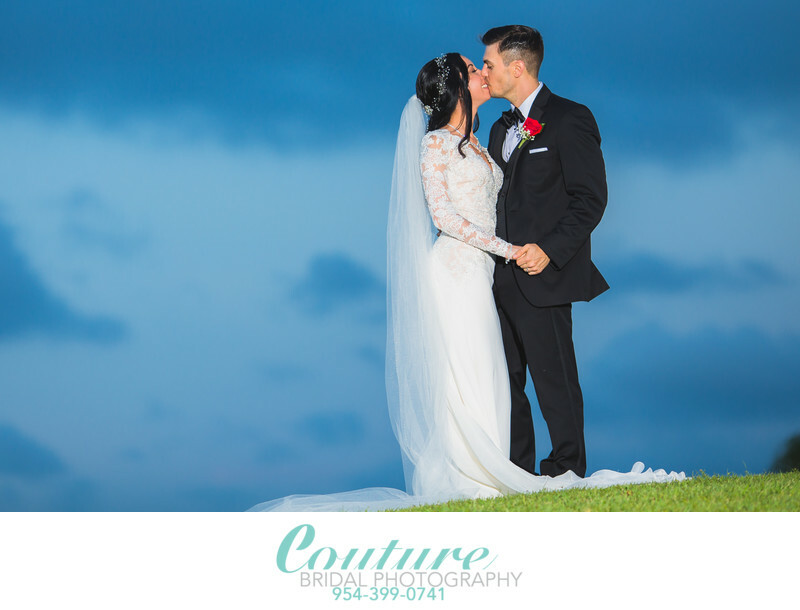 Couture Bridal Photography has been providing engagement and wedding photography throughout Deerfield Beach since 2008 and is the preferred wedding photography vendor at all of Deerfield Beach, Florida's popular wedding venues. Most times, Alfredo requests not to be put on a wedding vendors list and opts to have his card handed to clients. Deerfield Beach wedding venue coordinators, event managers, catering managers and venue owners happily grant Alfredo's request. DEERFIELD BEACH WEDDING PHOTOGRAPHERS: How come Couture Bridal Photography doesn't have a studio! Couture Bridal Photography has 2 location in Deerfield Beach Florida. The primary location of Couture Bridal Photography is steps away from the Deer Creek Country Club located at 2400 Deer Creek Country Club Blvd. Deerfield Beach, FL 33442. We also have another location in East Deerfield Beach just steps away from Royal Fiesta event center at 1544 Southeast 3rd Court Deerfield Beach, FL 33441. Our presence in Deerfield Beach have made us the most preferred wedding photographers at the Deer Creek Country club, Royal Fiesta and Wyndham Deerfield Beach Resort. Couture Bridal Photography is proud to offer the best wedding photography prices in Deerfield Beach. Additionally, Alfredo enjoys meeting future brides and grooms at a place convenient to them. Fact is, that in order to provide the most personalize wedding photographer services in Deerfield Beach meeting clients at a location of their convenience establishes a personal and friendly experience. DEERFIELD BEACH WEDDING PHOTOGRAPHERS: Do you use professional Photography equipment? I not only own the best Canon Camera's lens and lighting gear, I have triple of everything. I primarily photograph using the Canon 5D mark IV, as my lead photography camera, but carry a pair of 5D3 as back ups, a 50 Mega Pixel Canon 5DS-R for portraits and an array of lenses. Interestingly enough, I only have one zoom lens. I shoot with all prime lenses for sharpness and picture quality and I use my legs as my zoom. I find that zoom lenses keep photographers in one place just zooming in and out of anything, so pictures tend to be boring. I also use a highly modified 27" iMac with a dual screen layout, every possible photo editing software installed and save everything on 3 separate 50 terra byte raid systems. So while some wedding photography studios may claim only those that have a store front are professional, some of the worlds best wedding photographers don't. DEERFIELD BEACH WEDDING PHOTOGRAPHERS: What areas and venues do you provide wedding photography at? We provide and have provided wedding photography at just about every wedding venue in Deerfield Beach, Florida. We photograph 2-3 weddings a month at Royal Fiesta, in the Cove Shopping center located at 1670 SE 3rd Ct, Deerfield Beach, FL 33441, Wedding Photography 2-3 times a month at Deer Creek Golf Club located at 2801 DC Country Club Boulevard, Deerfield Beach, FL 33442, and 2-3 wedding photography assignments at Embassy Suites by Hilton Deerfield Beach Resort & Spa, located at 950 S Ocean Dr, Deerfield Beach, FL 33441. These are just the weddings Couture Bridal Photography photographs in Deerfield Beach. We provide wedding photography at many of South Florida's top rated luxury wedding venues, such as the Breakers Palm Beach, Flagler Museum, W Fort Lauderdale Beach, and Epic in Miami. We are also requested to photograph weddings throughout the United States, Caribbean and Europe in places like New York City, Denver, Los Angeles, Beverly Hills, Charleston, Boston, Chicago and Italy. Alfredo Valentine, is a highly regarded award winning published Wedding Photographer with a team of professional associate wedding photographers, assistants and image editors. Couture Bridal Photography is the South Florida's top rated award winning Wedding Photography Studio serving Deerfield Beach. Brides & Grooms seeking the best Wedding Photographers in Deerfield Beach and Boca Raton choose us for the best Bridal Photography experience and prices to fit any budget! Couture Bridal Photography is among the top rated award winning Boutique Luxury Wedding Photography Studio in South Florida serving Deerfield Beach, Florida. Deerfield Beach is Broward County's northern most city and borders Boca Raton and the Palm Beach County border line. Just south is a small town called Lighthouse Point which is also the location of a popular wedding venue called the Lighthouse Point Yacht and Racquet club. Deerfield Beach is known for is beautiful shoreline with rock formations and a fishing pier. Along Deerfield Beaches shore line you'll discover some wonderful hotels and resorts. The most popular resort along the Deerfield Beach shore line is the Wyndham Deerfield Beach Resort. The Wyndham Deerfield Beach Resort is located at 2096 NE 2nd Street, Deerfield Beach, FL 33441 and is right across the street from the beach and the Deerfield Beach International fishing Pier. The 976 foot Deerfield Beach International Fishing Pier is the crowning jewel on our beach, attracting thousands of visitors and fisherman annually. In addition to renting fishing rods, the pier concession stocks live, fresh and frozen bait, tackle, fishing accessories, ice and t-shirts. There are two places available to rent on the beach, 9th Street Boardwalk- SE 9th Street and SE 21st Avenue, located on beach north of Embassy Suites and 10th Street Boardwalk- SE 10th Street and SE 21st Avenue, located on beach south of Embassy Suites. Couples from around the world come to Deerfield Beach to get married along the beach year round. Deerfield Beach is also the perfect location for Engagement Photography sessions. The other very popular locations for beachside weddings in Deerfield Beach is Embassy Suites by Hilton Deerfield Beach Resort & Spa, located at 950 S Ocean Dr, Deerfield Beach, FL 33441 both resorts offer amazing amenities and located along the beach in Deerfield Beach. Shopping and entertaining are also close by, as well as a robust night life and a variety of restaurants and bars. Just west of the Beach along Hillsboro Blvd. in Deerfield Beach is Royal Fiesta, a beautiful event center which is a also a very popular venue for brides and grooms who may not find the beach appealing. Located in the Cove Shopping center at 1680 SE 3rd Ct, Deerfield Beach, FL 33441, Royal Fiesta is easy to get to and close to everything a bride and groom would want at their guests disposal. Royal Fiesta offers everything a bride and groom would want in one place! The Cove Shopping center is also home to the best bridal shop for brides seeking the ultimate wedding dress for their wedding, Bellissima Bride is the one stop shop for wedding gowns by Allure Bridals, Casablanca Bridal, Essense of Australia, Kitty Chen, Maggie Sottero, Martina Liana, Pronovias, Stella York, Sophia Tolli, Sottero & Midgley, Watters, Wtoo and Willowby and Chic Nostalgia, Bellissima Bride is South Florida's most preferred and recommended bridal store and are known for the best service and pricing. Further west on Hillsboro Blvd. 2 miles west of I-95 is the Deer Creek Golf Club, located at 2801 Deer Creek Country Club Blvd. Deerfield Beach, Florida 33442. Stephanie Zelko, the Director of Events at the Deer Creek County Club will make sure every bride and grooms vision becomes a reality with exemplary service and commitment to providing you with an amazing wedding day experience. Deer Creek offers an elegant setting that is beautifully landscaped for indoor or outdoor weddings and ceremonies. The magnificent Key West ballroom is the perfect selection for an elegant wedding. Our newly renovated ballroom includes a breathtaking view of exotic lush landscaping around our cascading waterfall. The Key West Room luxuriously features expansive 15-foot arched windows and crystal chandeliers. The beautifully crafted French doors open to view our tropical waterfall. The Key West Ballroom can accommodate up to 200 guests for wedding ceremonies and receptions. The indoor and outdoor space is perfect for guests to mingle and relax before and after the ceremony; all while enjoying a view and service that no other wedding venues in South Florida can offer. Deer Creek Country Club offers a variety of South Florida Wedding Packages to suit most any budget which can include cocktails & hors d’oeuvres, dinner options & a custom wedding cake. Couture Bridal Photography based in Fort Lauderdale has become among the best rated award winning wedding photography studios serving South Florida. Couture Bridal Photography was independently rated by Expertise.com, as one of Fort Lauderdale's/South Florida "Top 20 Wedding Photographers" for 2017 and 2018 and Independently rated by ThreeBestRated.com among the best 3 Wedding Photographers in Fort Lauderdale and Coral Springs. Additionally, Couture Bridal Photography has won Weddingwire.com's "Couples Choice Award" for 2016, 2017 and 2018 followed by the Knot.com's "Best of Weddings" awards for 2017 and 2018. Couture Bridal Photography has also formed relationships with most south Florida Wedding vendors that provide incentives for working with Couture Bridal Photography or Couture Bridal Photography provides benefits for choosing select vendors throughout Deerfield Beach, Florida. 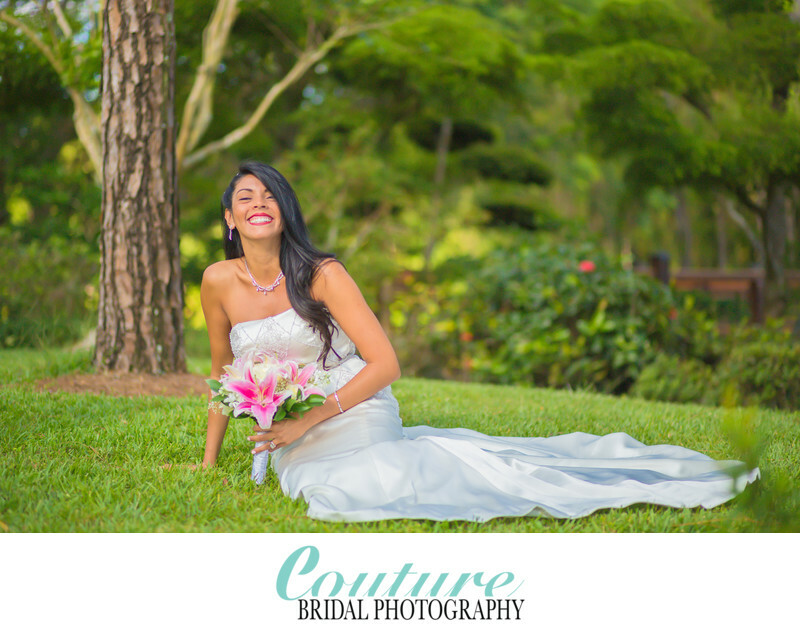 Couture Bridal Photography is also one of the most preferred destination wedding photography studios for couples throughout Deerfield Beach planning their weddings in the Caribbean, South America, Europe and even throughout the United States. We are also conveniently located at 2400 Deer Creek Country Club Blvd. Deerfield Beach FL 33442 right next to Deer Creek Golf club for consultations by appointment. Alfredo Valentine, founder and principal Wedding Photographer of Couture Bridal Photography is also an esteemed member of FearlessPhotographers.com, an exclusive listing of the world's best Wedding Photographers that is only open to Wedding Photographers by invitation or intense photographer scrutiny. There's no pay to play at Fearless Photographers. For the best Wedding Photography and prices in Deerfield Beach or throughout South Florida call the only Wedding Photography studio internationally recognized for Elegant, Romantic and Timeless Wedding Photography. The Couture Bridal Photography style is a unique and distinct story telling wedding photography. or Call us using any of our South Florida Phone Numbers! or use the form below to schedule a complimentary wedding photography consultation and quote. Tip: Whether in Deerfield or anywhere around the world. Always check a photographers Weddingwire and Knot.com badges on the respective websites. Many Wedding Photographers copy and paste badges to their website yet do not have the reviews necessary to attain the badges they are displaying. Some would call this fraud!